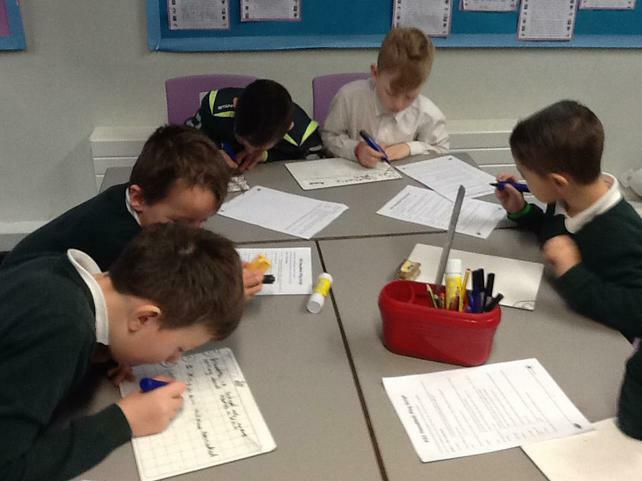 Class 4 have started their topic on 'The Blue Abyss'. We have already learnt about the world's oceans and have located them and named them. We have researched various sea creatures to find out about the amazing environments they live in. This work is leading to the children writing a poem based on the life of a whale, which will take the form of a ballad. Please look at an excellent example of a ballad we have written based on 'Nemo' and his first day at school. Our art work has also been related to the 'Blue Abyss' topic, some of which you can see in the images on this page. The children have shown some amazing skill in the care they have taken with these pictures. 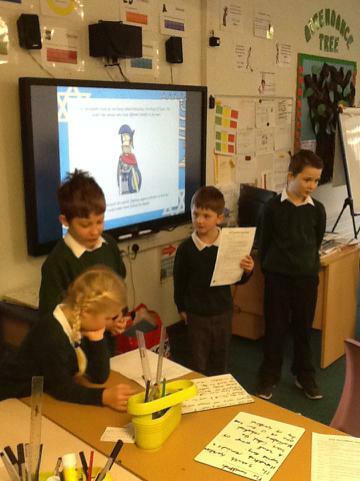 Class 4 have also recently had 'Judaism Day', where they used drama to act out the events which led to the 'Hannukah' celebration.